Trinity Health is a national, not-for-profit Catholic health system operating 93 hospitals in 22 states, including 120 continuing care locations - including home care, hospice, PACE and senior living facilities. ViSalus Sciences is an American multilevel marketing company based in Los Angeles, California, with offices in Downtown Detroit, Michigan. Munson Healthcare, Inc., doing business as Munson Rehab Driver Assessment Center, operates hospitals throughout northern Michigan. It offers behavioral health, bleeding disorder center, cancer care, weight management, diabetes education, dialysis, emergency care, heart care, hospice and palliative care, lab, orthopedics, outpatient, radiology, senior's health, sleep disorders center, teen's health, women and children, and urology services. The company was founded in 1915 and is based in Traverse City, Michigan. It has locations in Kalkaska, St. Ignace, Cadillac, Charlevoix, Grayling, Traverse City, Gaylord, Frankfort, and Manistee, Michigan. Bronson Methodist Hospital, Inc., a regional medical center, provides healthcare services in Kalamazoo and southwest Michigan. Its services include illness management, anticoagulation, bereavement, breast health, burn, cancer care, critical care, diabetes, flu, heart and vascular, home health services, hyperbaric oxygen therapy, infusion, laboratory, medical and surgical weight management, neurosciences, nutrition, occupational health, orthopedics, pharmacy, pregnancy and childbirth, rehabilitation, respiratory care, sleep, sports medicine, stomal therapy, surgery, testing and imaging, trauma and emergency, women's health, and wound. Bronson Methodist Hospital, Inc. was founded in 1900 and is based in Kalamazoo, Michigan. Bronson Methodist Hospital, Inc. operates as a subsidiary of Bronson HealthCare Group, Inc.
Neogen Corp. is an international food safety company that provides test kits and relevant products to detect dangerous substances in food. Metro Health Hospital is a LEED certified hospital located in Wyoming, Michigan off of M-6 near US Route 131. Bronson Methodist Hospital is a 404-bed non-profit teaching hospital located in downtown Kalamazoo, Michigan, United States, and is a Level I trauma center. Health Care Associates is one of the best home care agencies serving the greater Grand Rapids Michigan area. We were founded over 30 years ago and serve clients throughout the area. Home - Whether you're looking for independent living, assisted living, skilled nursing or rehabilitative care, Vista Grande Villa truly has it all. Alpena Regional Medical Center operates as a healthcare facility. The company was founded in 1940 and is based in Alpena, Michigan. The Barbara Ann Karmanos Cancer Institute, headquartered in Detroit, is the largest cancer research and provider network in Michigan and has 15 treatment locations. This website is for sale! fhcbc.org is your first and best source for all of the information you're looking for. From general topics to more of what you would expect to find here, fhcbc.org has it all. We hope you find what you are searching for! Centurion Medical Products develops unique products and innovative services that respond to the changing requirements of the healthcare industry. Botsford General Hospital, doing business as Beaumont Hospital - Farmington Hills, owns and operates a health care facility serving communities in Oakland and Western Wayne counties, Michigan. The company s services include emergency and trauma care, injury prevention, urgent, and wound care; assisted living, geriatric mental health, joint replacement, long term care, and rehabilitation; keloid treatment, medical recording, rheumatology, sleep therapy, travel clinic, and weight management; outpatient, endoscopy, robotic, sinuplasty, and vascular surgery; occupational therapy, physical therapy, pulmonary rehabilitation, and speech therapy; and child development, pediatric, and family medicine. Its services also include antenatal testing, mammography, and maternity care; imaging and ultrasound; cancer and oncology care; laboratory testing; orthopedic and osteoporosis; cardiology and enhanced external counter-pulsation; and pharmacy/home medical equipment. The company was founded in 1965 and is based in Farmington Hills, Michigan. Botsford General Hospital operates as a subsidiary of Beaumont Health. Creating the absolute best experience, in every interaction, with every person every minute of everyday. When your loved one needs care, call an Angel. Community EMS is a CAAS Accredited nonprofit ambulance service. We provide mobile intensive care, basic and advanced life support. Dickinson County Healthcare System, Upper Michigan Hospital, We Are Here For YOU!!! Ensuring quality of life, comfort, and peace for our patients and providing support for their loved ones during end-of-life. A NorthStar Care Community member. 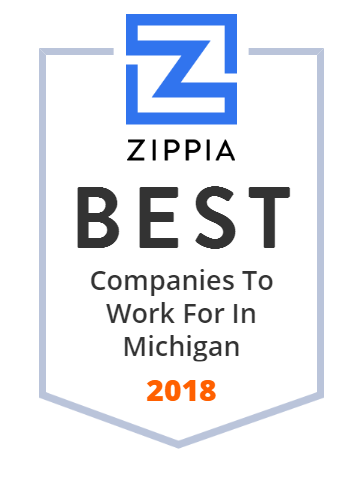 We pride ourselves on being the top-rated company in Michigan on the 5-star rating scale. We specialize in both short and long term rehabilitation. 27 locally owned grocery stores located in SW Michigan and Northern Indiana. Many have delis, pharmacies, and bakeries. Rainbow Rehabilitation provides therapeutic brain injury rehabilitation, spinal cord rehabilitation and rehabilitation for other neurological disorders. Top 100 Fitness Club in the country. DMC Rehabilitation Institute of Michigan (RIM) is one of the eight hospitals affiliated with the Detroit Medical Center. RIM is one of the largest, academic, rehabilitation hospitals in the United States specializing in rehabilitation medicine and research. RIM offers clinical treatment in spinal cord injury, brain injury, stroke, complex trauma and orthopedics and catastrophic injury care. The Institute is home to the Center for Spinal Cord Injury Recovery, a facility designed to implement and study innovative treatments in spinal cord injury recovery. Point O' Woods Golf & Country Club is a family friendly private club in Benton Harbor featuring 18 holes of championship golf in the heart of Southwest Michigan. Michigan Wedding Venues - Addison Oaks Buhl Estate, Glen Oaks, and Bay Pointe. Oak Management provides premier venues for weddings and special events. Our goal is to maximize each patient's health, skills and functional abilities in a caring environment. Call The Lakeland Center at (248) 350-8070 for help in Southfield, MI. Operates A Skilled Nursing Care Facility (75%). Operates As A General Medical Or Surgical Hospital (25%). Hope At Home Health Care is a full service home care agency in Michigan dedicated to helping people excel in the comfort of their home. Our mission is to improve the quality of life for our patients, their families, our employees and community we live in. Exper Care es una empresa de asistencia para adultos mayores a domicilio. JOOL is a company based in Ann Arbor, MI, innovating at the intersection advanced technology, data science, and the impact of purpose. Home - Providing Quality Home Health Care To Improve The Lives Of Patients. It's What We Do. Home Health, Palliative, Hospice. At Great Lakes Eye Care our mission is to preserve and restore eye care in our community and around the world. With three convenient office location we offer patients the highest quality medical treatments within an atmosphere of personalized care. Pathways serves children and adults who have severe mental illnesses and emotional disturbances. Call our crisis hotline or read more about our services. A Christian summer youth camp (grades 1-12) and a year round retreat ministry located in West Michigan on a 1/4 mile of Lake Michigan beach. The right balance of Rehabilitation and Clinical care gets you home faster and keeps you home, longer. Make the Metron Choice where it's all about you!. Memorial Healthcare is a 150-bed hospital supported by a medical staff of 170 primary care and specialty physicians and over 1,000 employees. Since 1945, Presbyterian Villages of Michigan has been Michigan's premier senior living provider. Cherry Health provides a health care home for those who may not otherwise have access. We serve patients at more than 20 locations throughout Michigan. More than 25 locations throughout Michigan serving adults and children with brain injury, spinal cord injury and other disabilities. Inpatient, Outpatient, Residential and Day Treatment services. West Hills is a fitness and tennis club in Kalamazoo, Michigan. A faith-based organization, called to provide quality care with compassion to our clients regardless of where they live.